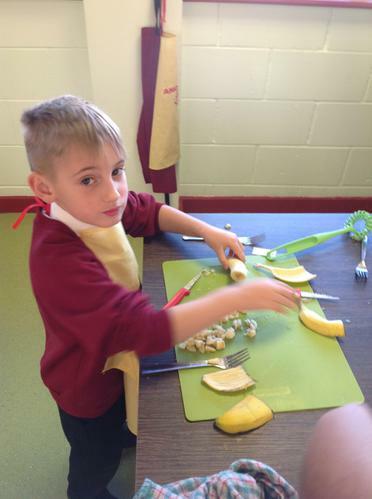 Last week, Otters were learning about the different types of foods and what makes a healthy diet. 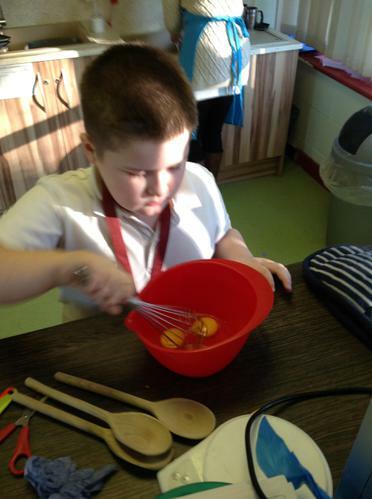 We focused on how the egg is a nutritious ingredient and that it can be the main ingredient to some delicious but healthy meals. 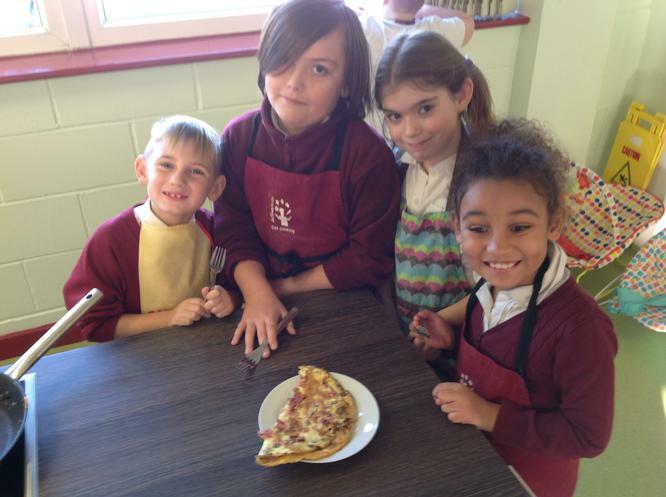 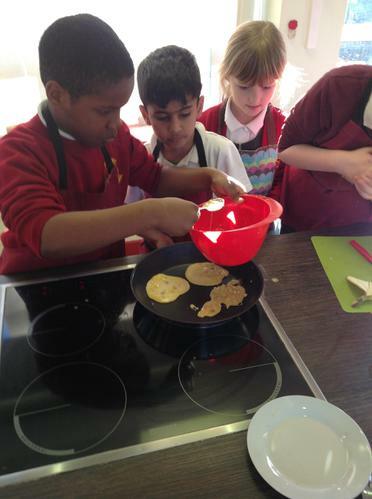 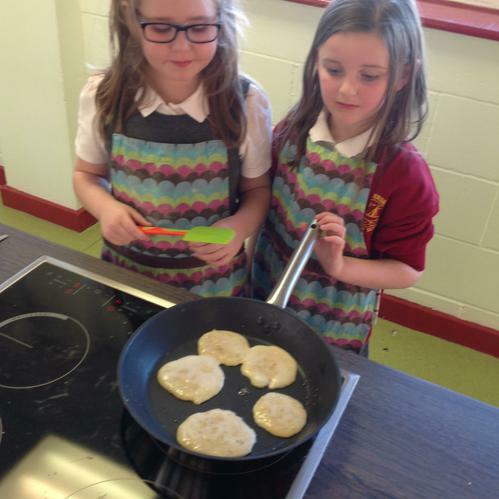 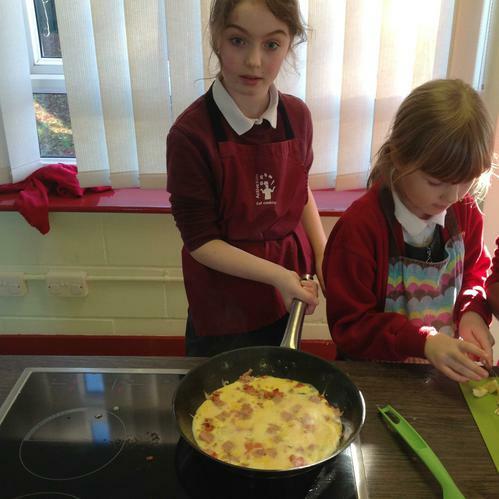 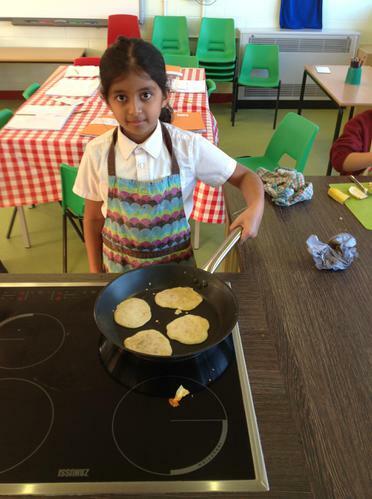 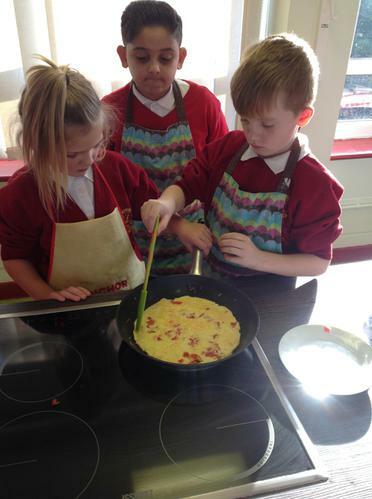 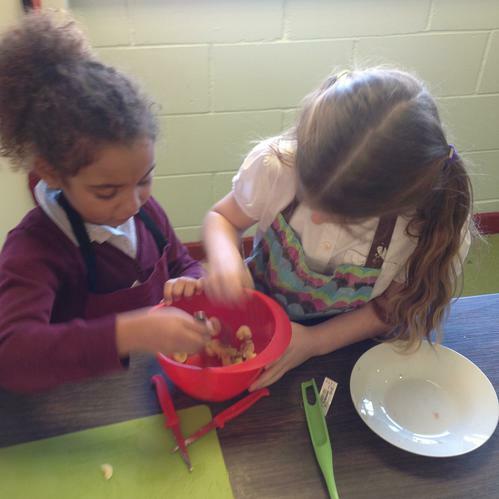 We went into Cookery Corner and made omelettes and banana pancakes.